Southwest of Hanoi lies Hòa Bình, a rural province known for its lush, mountainous countryside. 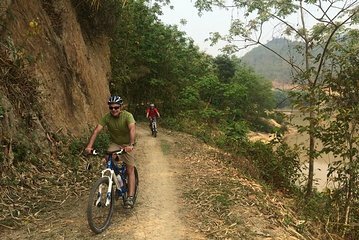 Rather than trying to navigate this landscape from the confines of a car, though, explore Hòa Bình on mountain bike on this day trip from Hanoi. On this small group tour, cycle through rock gardens and over limestone mountains, supported by your guide, your fellow cyclists and a nearby support vehicle.